Andrew woke up with a serious bout of Spring Fever. He's had enough with me asking him to put up more shelves around the house, so it was time for him to play outside. We spent our whole March "gardening" budget this weekend installing a side garden. 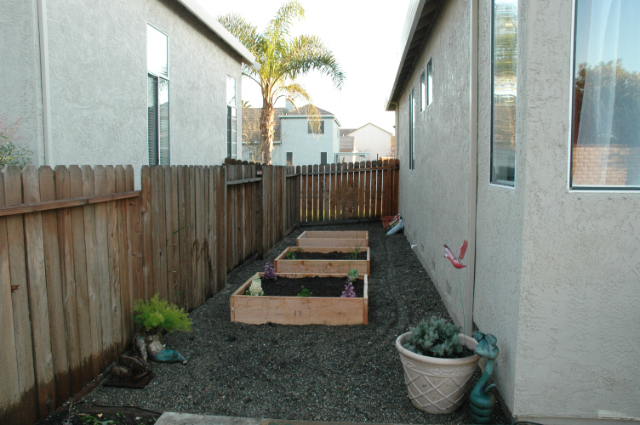 Andrew worked so hard building the boxes and transferring the pea gravel from our backyard to the side yard. 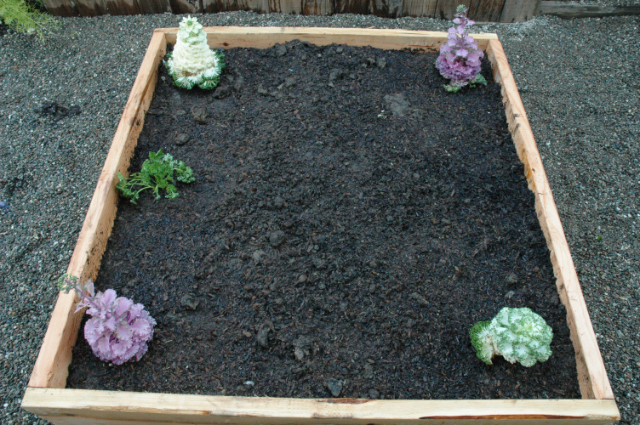 We planted flowering kale and parsley in the first box. 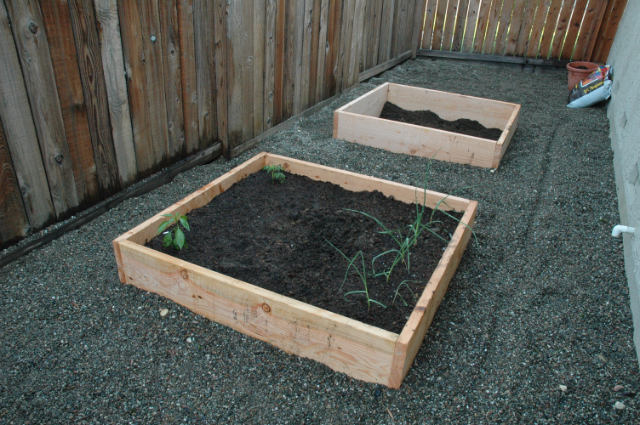 The second box houses peppers, garlic, and roma tomatoes. Homemade salsa here we come! I planted a running zuchinni in the back planter along the back wall. Hopefully I will pay attention this year and won't let my zuchinni get so big they need a new zip code. Everyone is always welcome to stop by for some chips and salsa (hint, hint to those of you who reside in Stockton). WOW, you guys got lots done, what fun. I have been out in my garden too. The weather is perfect. Hope all your new seeds sprout. !